Westerners tend to group Tamikrest into the “desert rock” movement, a vague and cinematically inclined term for music that would sound appropriate set under images of the Saharan desert, complete with tired camels and heat lines. 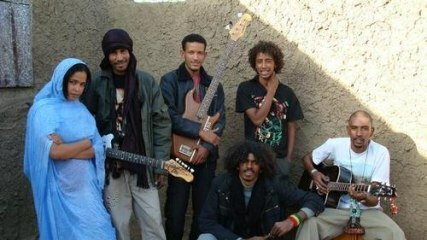 The band hails from Mali, where about two-thirds of land is desert, so the grouping is at least geographically relevant. As far as their music goes though, Tamikrest produce a sound that goes well beyond accompaniments for stock images from a David Lean film. 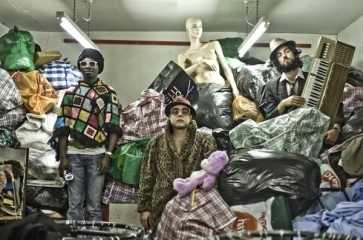 Their music is a rich hybrid of West African, Middle Eastern, and Western influences, catchy and ambitious enough to catch the ears of listeners from every country. This brings comparisons to acts like Amadou & Mariam and Dengue Fever. At times, Tamikrest even introduce Latin fixings (specifically in the lead guitar and brass accompaniments), reminiscent of international staples like Os Mutantes and Tom Zé. So while the call-and-response vocal patterns – many of them with wide range and male-female duets – recall tribal chants and Saharan themes, there is no geographical or cultural restriction on Tamikrest’s fascinating sound. In addition to this “desert rock” tag, Tamikrest are apparently the current leaders of “‘Ishumar rock”, a style created from Tuaregs from Mali and Niger who lived in political struggle and exile. Problem is, any search for “Ishumar rock” on Google turns up Tamikrest and Tamikrest only, so the genre appears either newly created or simply has no one else notable involved. This minor quirk aside, their second album Toumastin certainly establishes a precedent for any up-and-comers in the movement. While incorporating plenty of political intrigue into their lyrics (“Ayitma Madjam” is a call to action for officials to save a corrupt society), the lyrics and vocal implementation are non-invasive in the grandest sense. 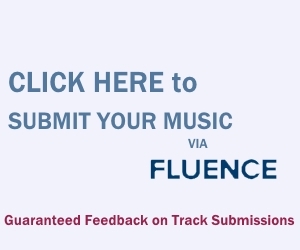 Even if you were to understand the exact lyrics (most of you won’t), the way the vocals are presented within the music is comparable to largely instrumental artists that place vocals sparingly and, when doing so, with excellent precision. “Nak Amadjar Nidounia” establishes a very suave feel with a restrained guitar progression, in the mold of playful pop with a touch of exotic orchestral efforts. 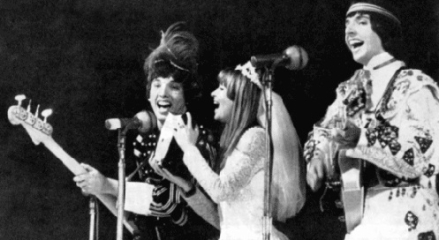 A vocal duet emerges mid-way through, in perfect harmony with the Eastern woodwinds that. In subtly effective form, a soothing brass is tucked away in the background, but the composition rides on the rhythm and lead guitar for the most part, the latter reflecting the vocal melody with some excellent off-beat choices (particularly at the 02:41 mark). “Aratan N Tinariwen” is a quicker and more direct change of pace. Despite the energetic bursts of heavy guitar riffs that nearly encourage bodily movement, one can’t help but notice a slightly somber feel. The guitar solo after the first verse cries out, like a clannish yelp, as the rhythm stays fixated on the arrival of Ousmane Ag Mossa’s calm and confident voice. “Aidjan Adaky” takes a bluesier approach, but in a rock-oriented direction certainly influenced by Beatles tracks like “Why Don’t We Do It in the Road?” and their cover of Blind Lemon Jefferson’s “Matchbox”. That is true for the intro and verse at least, before settling into a very traditional-sounding Middle Eastern vocal presentation of solitude. The track initially is minimalistic, but expands to bongo drums and exuberant bass that later give way to the smooth guitar lines that are familiar at this point in the album. “Addektegh” tackles a lush form of modern folk. This acoustic-laden effort is striking beautiful, which is a bold feat considering its entirely instrumental status. It is successful in its placement, as it suitably precedes “Tarhamanine Assinegh”, one of the album’s catchiest efforts. The high-pitched female vocals of Fatma Walett Cheikh, more reminiscent of the Far East than Middle East, burst in and out. About 2.5 minutes in, the bass and drums take full control, as the feminine vocals are introduced again. There then arrives a call-and-response pattern with male and female vocals. It is repetitive but enjoyable. The final one-third of the album shows some enjoyable experimentation. “Nak Akaline Tinza (Tinzaouatene)” is lo-fi sounding initially, but then expansively turns to more effervescent acoustical tones. The dynamic is rich and the accompaniments are beautifully textured. “Tidit” is vibrant and catchy, with trippy organs establishing a slight ‘70s psych-pop feel. 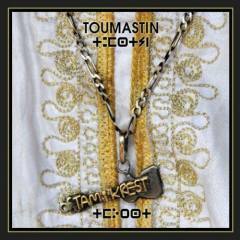 As you can tell, Toumastin is an adventurous album that shows the youthful Tamikrest as full of potential, in addition to potential forerunners of a movement that – so far – is notably enjoyable. The first track Nak Amadjar buffers and then doesn’t play. Too bad. I really wanted to hear that.